The U.S. Commerce Department’s National Institute of Standards and Technology (NIST) announced today it has issued a Notice of Intent to fund up to two institutes as part of the National Network for Manufacturing Innovation (NNMI). For its first institutes, the Commerce Department will provide up to a total of $70 million per institute over five to seven years. 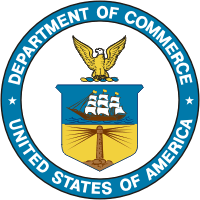 Commerce funding must be matched by private and other non-federal sources. The institutes are expected to become self-sustainable within the time period of the award. This will be the first NNMI solicitation in which the funding agency has not predetermined an institute’s area of focus. NIST is open to receiving proposals in any topic of interest to industry, particularly those relevant to manufacturing robotics and biopharmaceutical manufacturing. These two subject areas were identified by the President's Council of Advisors on Science and Technology (PCAST) Advanced Manufacturing Partnership as technology areas critical to supporting national needs. A collaborative manufacturing robotics institute would focus on developing advanced robotic systems that can safely operate in collaboration with humans or other robots, be tasked and re-tasked easily, and be integrated into the rest of an enterprise seamlessly and quickly. A biopharmaceutical manufacturing institute would center on “biologic” therapies that are manufactured using living cells instead of conventional chemistry. The institute would aim to stimulate innovation in manufacturing that will enable new, more cost effective treatment of disease and solidify the domestic competitiveness of the U.S. biopharma industry. The NNMI Institutes bring together manufacturers, universities, community colleges, federal agencies and state organizations with the goal of bridging the gap between basic research and product development. They aim to accelerate innovation by focusing investment in industrially relevant, pre-competitive manufacturing technologies with broad applications. The institutes also give manufacturers access to shared assets such as cutting-edge equipment and provide opportunities for workforce training. Seven institutes are already operating across the country, with two more under formation, funded primarily by the U.S. Departments of Defense and Energy. All of the institutes collaborate through the Advanced Manufacturing National Program Office, which was established at NIST in 2012 to support the NNMI. NIST plans to issue a solicitation for up to two new institutes in January 2016. The date and location of a Proposer's Day will be announced on grants.gov and at manufacturing.gov.